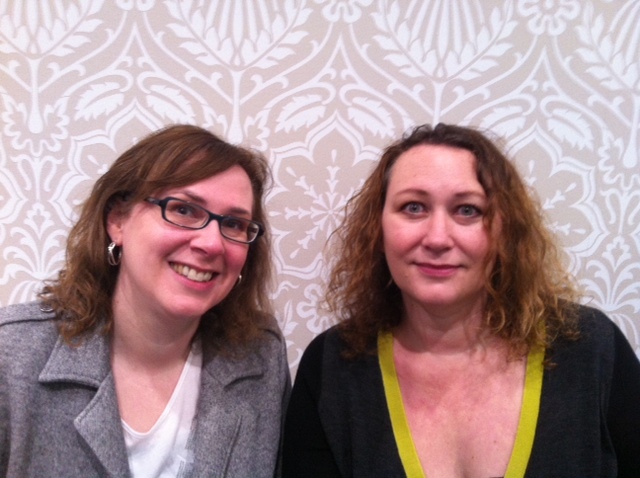 Quilt Sandwich Fabrics was started by Kris and Becca, two fabric-obsessed sisters who love to quilt! We started our shop on Etsy in 2008 and we now have over 1,000 bolts of high-quality, fun fabric. Some of our favorite fabric designers and companies are Cotton + Steel, Carolyn Friedlander, Denyse Schmidt, Anna Maria Horner, Amy Butler, Kaffe Fassett, Alexander Henry, and Art Gallery Fabrics. We also carry patterns for quilts and bags and pretty ribbons. We pride ourselves on excellent customer service and have received great feedback from our customers. We take care to ship your order quickly and package it nicely. We always have discount codes to save you money on shipping – use the code 5OFF50 to take $5 off your order of $50 or more, and use the code 10OFF100 to take $10 off your order of $100 or more! 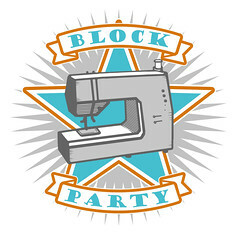 Check us out online at our blog (www.quiltsandwichblog.com) or on Instagram (@quiltsandwichfabrics), where we like to show new fabrics and projects we’re working on. You can sign up to receive our newsletter at our blog, or email us at quilt-sandwich@hotmail.com and ask us to add you. It’s a great way to find out what’s new and about upcoming sales! Kris and Becca also have a giveaway for you today! They’re giving away a fun set of colorful fabrics, perfect for Spring! The winner will receive 1 yard of one of their favorite Cotton + Steel prints, Mochi Floral on a linen-colored background. 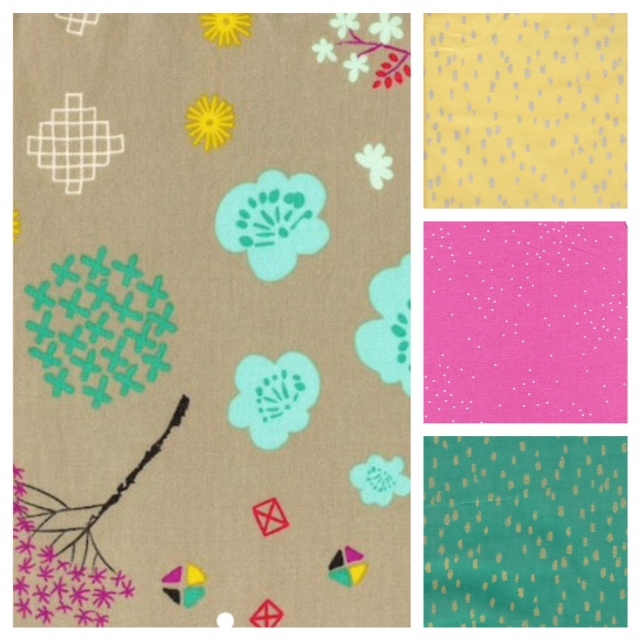 They’re also adding some pretty coordinates to go with the bright colors – a half-yard each of Windham Fabrics Heavy Metals in Yellow and Turquoise and also Cotton + Steel’s Sprinkle in Petal. To enter, please leave one comment here. I will randomly select a winner on Sunday evening and will update this post. Random.org selected #16, Stephanie, who said “I am mostly a beginning quilter. I have only finished two quilts and they were very simple. Looking forward to trying something harder and this fabric would be perfect. Thank you!” Congratulations, Stephanie! This entry was posted in Fabric, Giveaway! and tagged Etsy, Fabric, Giveaway!, quilt sandwich. Bookmark the permalink. I love finding new stores. A new source of fabric!! You are really enabling my addiction!! Such a sweet giveaway! I adore CS fabrics! They never cease to amaze me! Thanks for the chance! What beautiful fabrics! Wishing Quilt Sandwich Fabrics much success. These are very springy! Thanks for sharing a new store with us. Any store with the word sandwich in it is good by me! Thanks for the giveaway! The mochi floral is so pretty! I love the fabrics chosen for the giveaway! It is great to get to learn about new sponsors. I have a new source for fabric! Yay!! Thanks for the chance to win and the heads up on a new store! Quilt Sandwich has selected perfect fabrics for budding Spring. I wish you both a successful relationship. Fun fussy cutting in that Mochi print! I am mostly a beginning quilter. I have only finished two quilts and they were very simple. Looking forward to trying something harder and this fabric would be perfect. Thank you! The Mochi Floral has some unusual elements in the design, which make it very eye catching! A store with fun things! I hope they dowell in their endeavors. Cute stuff, and shipping to Canada, woo! Looks like they have some great fabrics in their shop! Thanks for a chance to win some C&S loveliness! Beautiful fabrics for a pretty Spring project. Beautiful fabric! Love the colors ! Thanks for the giveaway! The shop looks nice and has great taste! What a fun group of fabrics. Thanks for the giveaway! How have I missed the pink sprinkle? A great start to spring would be a win of this great fabric. Many thanks. I checked out the shop…so many pretties! Just found out about you. Love the fabrics and look forward to seeing more, off to visit your shop. So nice to know about another place to get lovely fabric! Such pretty fabrics! What a great giveaway! And what a nice sponsor to have. work is so much easier when you enjoy it. TGIF!!! Love the fabrics! Best of Luck with the shop! pretty fabrics! what a fun new shop! 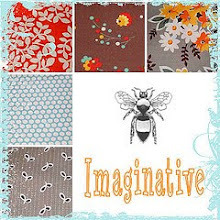 A new fabric supplier….wonderful! Thank you! Always great to learn about a new shop! Love the fabrics they have chosen for the give-away. Oooh, a new supplier to feed my addiction! Thank you for the give away! Just visited their store and will definitely come back! Sew pretty fabric. I love your shop,and thank you so much for the chance to win. Thanks for introducing me to this online store. These are amazing, love all the colors. Happy Friday! This Giveaway could really make a girl happy!! I’ve ordered from Quilt Sandwich before. My fabrics arrived lovingly packed like a sandwich in red-and-white-checkered tissue paper (like a picnic tablecloth). Their attention to detail was so cute! All my favorite colors right there! I love their shop! Thank you. Cute and they ship to Canada! I can’t wait to go check out their blog & store! Beautiful fabrics! I’ll have to check out their site! Always hoping I’ll be a winner and imagining what I could make! Love the fabrics in the giveaway, THANK YOU! What a great giveaway bundle! Great new shop! Thanks so much for the chance to win! new online shops are always fun to explore – thanks! Such pretty, happy fabrics. Perfect to use to celebrate the coming of spring! What fun spring fabrics! Thanks for the chance to win. THANK YOU FOR YOUR BLOG+A NEAT GIVEAWAY TOO! I would love to win these fabrics! Thank you for being so generous! Love finding new shops! Thanks for the giveaway. New shop for quilting fun, love it! Thanks for the giveaway! Congrats on the new sponsor. Love these fabrics. Your blog inspired me to get into quilting. I made my first quilt based on your steeplechase design and it turned out amazing with the cotton and steel fabrics I selected. Would love to incorporate these fabrics into a new project. Such a lovely colour combination to look forward to spring with. Love that floral – looks like spring! Love those prints! Will check out this new to me shop! What fun fabrics. They make me smile! The cherry blossoms on Mochi Floral are so cute! Well, there goes the fabric budget, eh?! What a cheerful and generous giveaway! Thanks for the chance to win, and a new source for finding just the right fabric for a project. What a fun giveaway! Thanks for introducing this new-to-me shop. I love that combo that they have put together for the giveaway! Keeping my fingers crossed that I get picked. Lovely fabrics and such an awesome giveaway. Woohoo! Thanks or the giveaway. Love Cotton + Steel fabrics. Wow! What a great giveaway!! I can’t wait to check out their site! Gotta love a new quilt shop. Looking forward to looking around the store. Super fabulous giveaway! Thanks for putting my name in the hat for the drawing! Such a wonderful giveaway. I am off to check out your store now. How wonderful to work with your sister. Thanks for the chance! These are beautiful! Great giveaway, thank you! What beautiful fabrics! Great design and yummy colors. I’m making pillowcases for our local women’s shelter; this Cotton & Steel fabric would make a cheerful choice. Thanks for the intro to a new fabric shop and for a chance in the giveaway. I love Cotton & Steel fabrics. Thanks for the opportunity! The Mochi floral is delightful and different and I love the coordinating fabrics. Thanks for a new source for curated fabric selections. Yay, another great place to scope out new fabrics! Thanks for the giveaway. Definitely going to check them out! Can’t wait to check out your shop! Good luck in your new business, love the name of your shop! Congrats to a new sponsor and thank you for introducing us to this shop. It looks so lovely and they have beautiful fabrics. Thanks also for the giveaway. They selected a gorgeous bundle. I love these fabrics! Quilt Sandwich does indeed have a lovely selection of fabrics. I’ll be bookmarking their shop for future use! Congratulations, sisters! You sell my favorite designers, so off to your website I go! Best of luck. Thanks for letting us know about this shop. I’m just about to go over and take a look around! Thank for introducing a new shop! Thanks for the chance to win! I will go check out your shop too! What wonderful bright colors! It must be fun to have a sister that likes to quilt too. Yeah for a new sponsor and for sisters that work together! Just too cute! Would love to get creative with them. I’d so much rather buy quilting stuff from a small shop than Amazon. Thanks for letting us know about this one! what fun fabrics. thanks for a chance. am anxiously awaiting spring. i want to make some place mats and pillows for spring. these would be perfect. Wow. That fabric makes me “think spring”! Thanks for the chance to win it! I prefer buying from small businesses as well. Interesting fabrics….a challenge for me to use some different fabrics. Thanks for the giveaway! FITF has always been such an inspiration, and I love your sponsors! Thank you! I’d love to win that bodacious treat! It’s great to learn about a “new to me” store. Lovely spring colors! Looks like you have great selections! Good luck! These fabrics makes a quilty girl smile. Very cute fabrics. Thanks for introducing me to a new shop. It’s always fun to learn about new quilt shops! I love that print.the colors are fabulous and I love those coordinating fabrics. It must be fun to have a business with your sister! Gorgeous fabric and wonderful inspiration! Thank you for a great giveaway and information about a wonderful resource. What pretty fabric. Thank you for the opportunity. Lovely fresh colours. Thank you. I need more fabric like I need another hole in my head, but I’d sure live to have this beautiful mix! Wishing them much success with their expanding business! Thanks for introducing us to another great shop. Beautiful fabric. Thanks for introducing me to a new online fabric store. Great giveaway. Thank you. Such a cute shop name! Love these fabrics & cant wait to see what else is in the shop! Yay for a new shop carrrying my favorite designers! Congrats. What a fun group of fabrics! Thank you for the chance to win! Anything springlike sounds good.. It is definitely still winter here!! Such pretty fabrics. Looking forward to spring! Ooo I love these fabrics. Would be fun to create a spring quilt! I love this fabric grouping. Thanks for sharing another on-line shop. Wonderful giveaway! thanks for the chance! Welcome to your new advertiser! What a great give away! I’ve seen Cotton + Steele fabrics but never locally so I would love to win some. Pretty whimsical fabric! So cute! I love to hear a story of a small business making it ! These sisters have some great taste! Beautiful fabrics! Perfect to help with spring fever =) Thanks! What a pretty little collection. Thanks for the intro to another fabric source and the nice giveaway! What a cute store!! Thanks for this generous giveaway… delicious fabrics, wow! Beautiful fabric! Thanks for the opportunity! Awesome fabric! Thanks for the opportunity to enter the giveaway. Love these colors! Such great fabrics! Wow – always love learning about more places to buy fabric – gorgeous goods!! Love reading about people who make their passion and dreams into success! The fabrics are very pretty, thanks for the giveaway.